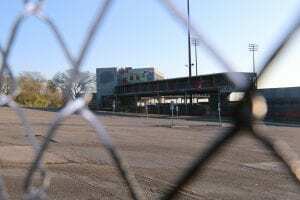 NASHVILLE, TN – In the first major decision of his administration, Mayor David Briley announced Tuesday he would ask for $1 million to tear down Greer Stadium and turn it back into green space as originally planned. The 2007 supplement to the 1996 Fort Negley Master Plan called for re-integrating Greer Stadium into Fort Negley Park after the Sounds’ lease expired. The team played its last game at Greet Stadium in August 2014. “The end of baseball here, now that we’ve moved it closer to downtown, presents us with an opportunity for a new era in Nashville,” Briley said. Once the stadium is gone and the parking lots torn up, Fort Negley will nearly double its size to around 55 acres. Razing the stadium and tearing out the asphalt parking lots would add about 20 acres of green space to Fort Negley. The old fort on Pinnacle Hill is about 8 acres and the entire park is about 55 acres. “It’s an opportunity to give the residents of this neighborhood and other neighborhood a place to relax, to come together, and build community,” Briley said. “It’s also a unique opportunity for us to pay attention to the history of this city and what happened here more than 150 years ago,” he said. Briley will ask the city council for the funds next month and the announcement came one week after being sworn in as Nashville’s 8th mayor. The Mayor urged the Park Board and Park Department staff to make Fort Negley a place that “honors the history of slavery, seeks to atone for it, and offers a place to reconcile in our city”. Monique Odom, Head of Parks. is working on a cultural landscape report of the park and Briley said that will determine how the park will be developed in the future. “I’m going to stick to the Plan to Play and I’m going to work with Monique and the Board to make sure that is the case,” he said. “Although we have been through some ups and downs as we looked at what to do here, this is ending on an up. This is a moment where community participation, where voices being heard led us to the right result,” Briley said. Devinder Sandhu was the loudest voice that led to that right result. 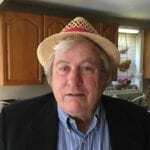 But he had to sue the city in order to stop the Finance Department from signing a sweetheart deal with Bert Mathews, a friend of the former mayor. Now that Mathews has quit and the RFQ has been withdrawn, a new RFQ will be issued with a much different vision: it’s going to be all about honoring the freed slaves who built Fort Negley and preserving green space. Sandhu asked Briley if minority contractors would get some of the demolition and landscaping work in the park’s remodel. “Yes, we’re going to make sure there is a full opportunity for our DBE office to work hard to make sure there is an opportunity for disadvantaged business enterprises to bid on the demolition,” Briley said. “The best way to pay respect to the past is by making sure minority participation is at the highest level in the present,” Sandhu said. “What better place to showcase minority participation than at a facility that was built by newly freed slaves?” he said.